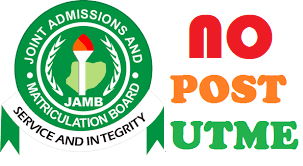 Some universities do not write post UTME for their candidates. All they want is your O’level results. Instead of the post UTME, some prefer physical or online screening for your credentials. Hence, you are afraid of writing other exams after UTME before you offered admission; I suggest you consider any of the universities below. What do they Do Instead of Post UTME? These schools are know for not conducting computer based or paper based entrance exams for their candidates. Instead, they conduct screening. The screening may take a form of online uploading of documents e.g UNIOSUN, or physical presence on the campus e.g KWASU. Being offered admission will be based on your performance (point as per O’level relevant subjects) and UTME score. These universities may not be the best chase for you if you have weak grades in your SSCE results and/or lower mark in UTME.